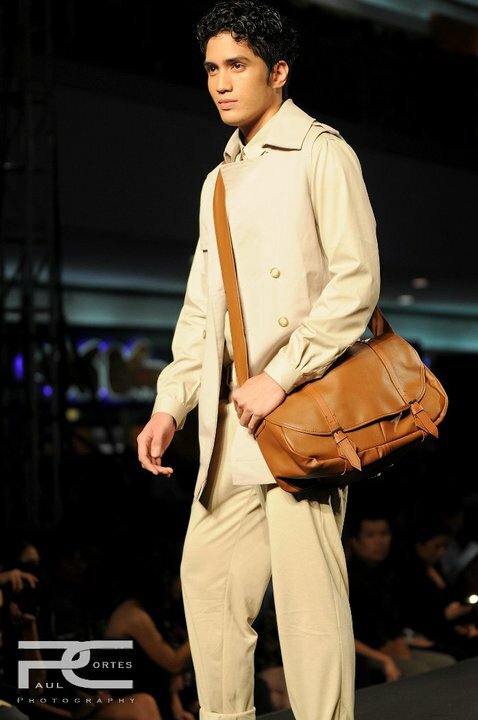 Change is the only constant in life, or in more fashionable term-evolution, in men, in menswear. 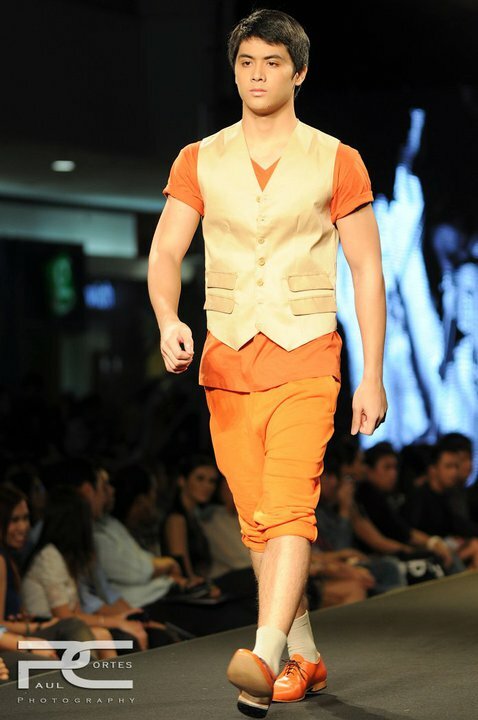 Bang Pineda’s Spring/Summer collection at Philippine Fashion Week 2011 plunged into a new trend, to startle the faint hearted male in his new male-macho specimen in girly colors of loud, brash and major splashes of notch up tangerines, flourescent blue and beige. 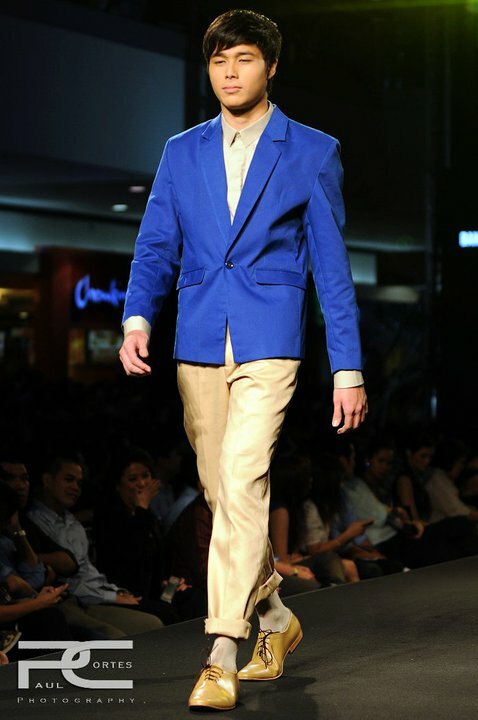 BANG PINEDA’s Male, like the designer himself, strutted in the runway with masculine finesse in experimental palette, machismo dared not to. 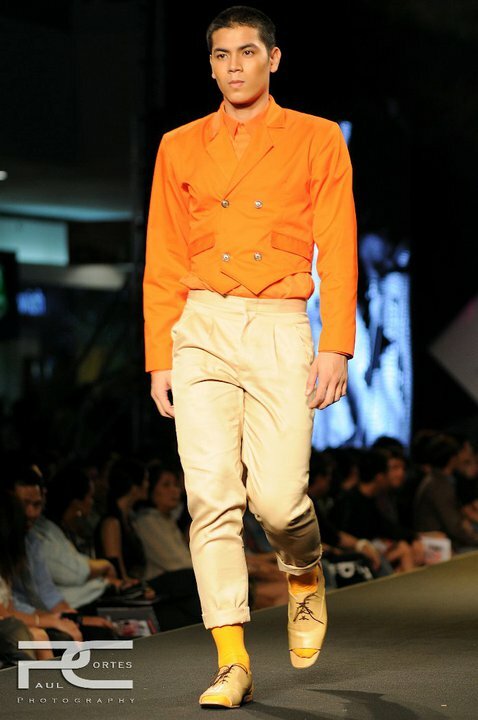 Carrying off vibrant orange suit with an orange monochrome combo of trousers, jackets and matching shoes take lots of guts to penetrate the male psyche’, like his collection.Pineda is a dresser and tried all his sartorial capabilities in creating a collection in an impeccable manner…and lost midway. 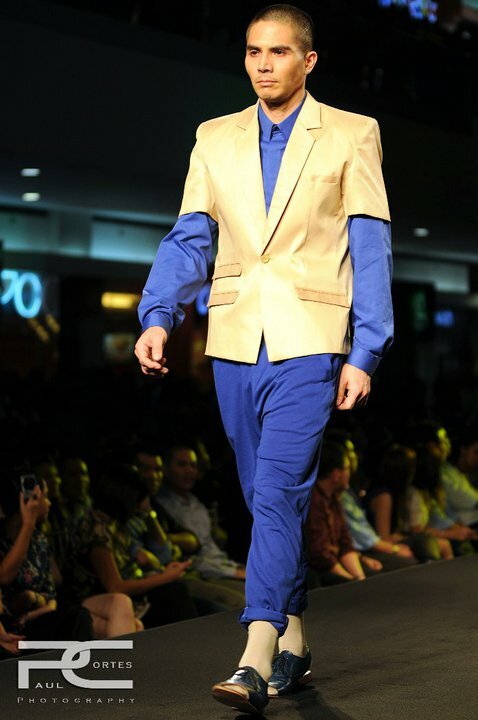 His style is more measured, with such dramatic flair, wearing loud colors is as much about the attitude as it is about the aesthetics and Bang Pineda gets both right, somehow. 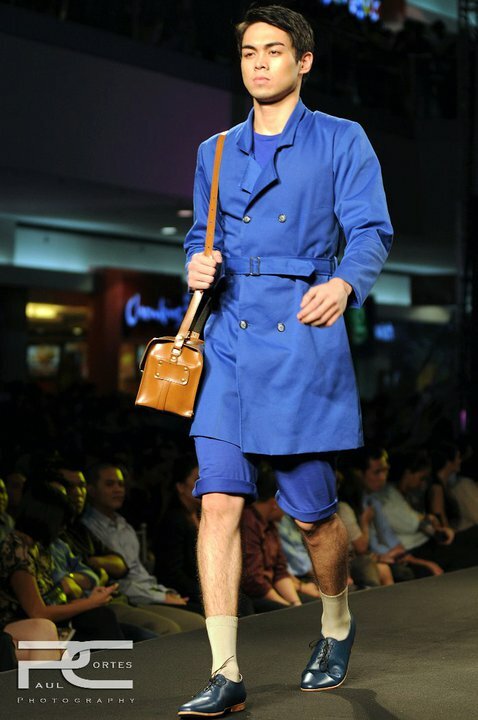 The new spur to the word ‘versatile’, the sourcing of his collection is a gamble, his new collection manifests a 360 degrees turn of domineering, fierce bravado manly characters, histrionically tough into a sweet -virginal -boys -in- harmless colors. 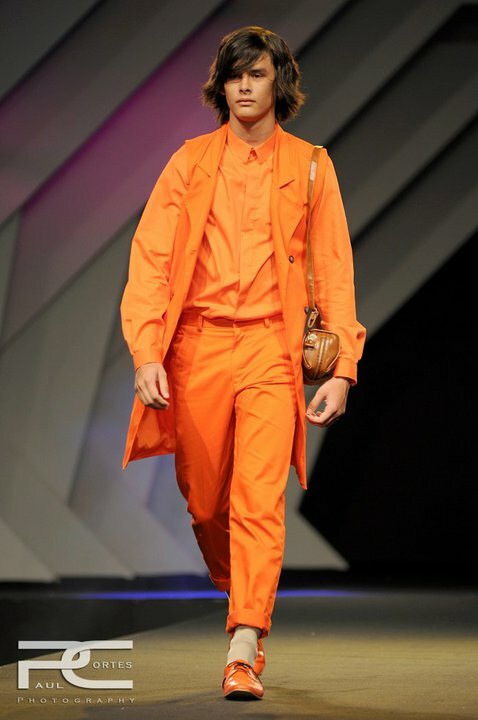 The vibrant oranges and blues belted jackets, vests and the rolled out pants, made for a bold and powerful collection, injecting freshness this spring, but surely not for your average kind of guy who doesn’t dare to be different. The smattering of pop orange in his new kind of guy, free from confinement of the usual colors and shapes, are attention grabbers, but it doesn’t translate to a safe bet. 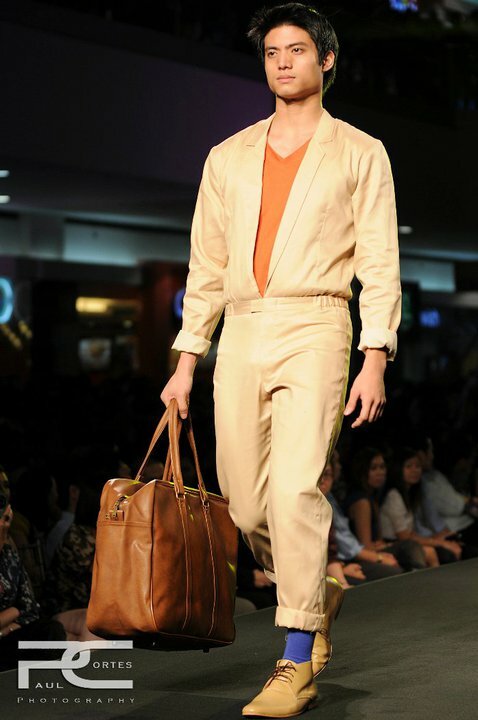 Given his proclivity for creating menswear, Pineda is best known for sartorial and high stitched tailoring, his ‘crew-meets-summer boys-gone- travelling- to-bora’ in loose shirts and trousers are far cries from the almost perfect fit collections in the past seasons. 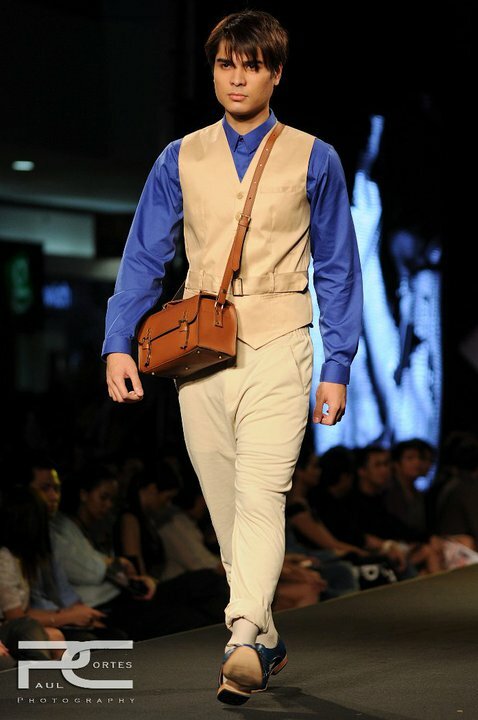 Who wore Bang Pineda’s first look? He looks very European–wouldn’t look out of place on a Milan runway.